This is the first picture I have of my son smiling. A week before this photo was taken, my newborn was diagnosed with a rare lung defect and flown off for emergency lung removal to save his life. I held myself together during the ordeal and completely fell apart afterwards, experiencing depression that lingered for several months. 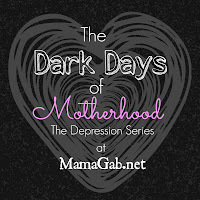 I’m sharing it now with the hopes of encouraging others who are experiencing their own dark days of motherhood. You can read the first post in the series here. During much of this time of depression, I had days where I felt completely swallowed up in fear and would take my children’s temperatures several times a day to make sure they were OK. I remember talking to one friend, our associate pastor’s wife, during a particular trying time. My kids were sick again and after all we’d been through, I was terrified. Debbie was so compassionate about our latest ordeal, but she also spoke truth into me that really opened my eyes. She said it’s OK to grieve over the things we had been through. 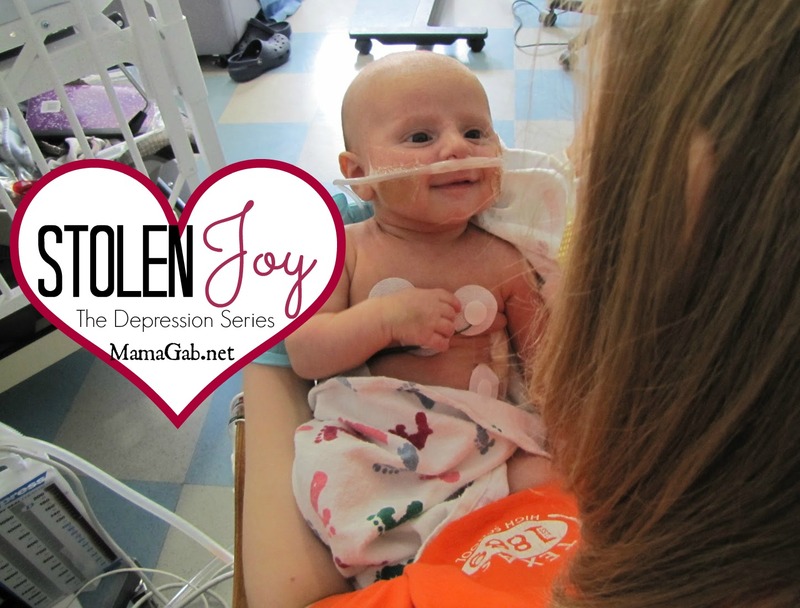 It’s a normal response to the trauma of nearly losing our newborn. But if my tears were based on lies and if I was living out of fear, then that was not OK. That was not where God wanted me to be. I can honestly say that I think my tears were a combination of truly processing all that we’d been through, grieving and mourning that difficult time, and lie-based thinking. “The thief comes only to steal, kill, and destroy…” 1 John 10:10. He is stealing your joy right now. He’s using your kids to get to you. And I was letting him. I was letting him steal my joy in my children, including the child whose life God had just spared. While I was going through this fog, I also tried to keep our house going in as much of a normal routine as possible. I had a cleaning schedule that I stuck to dogmatically, vacuuming and scrubbing on the same day each week. It made me feel good to have routine and it brightened my mood to live in a clean house. Honestly, I didn’t want to clean it. I didn’t want to get out of bed. I didn’t want to be mommy. But mommy I was, so mommy I would be. I went through the motions, hoping that God would use it all to slowly move in me. I distinctly remember something big that God showed me during that time. I was making my bed one morning, rather grumpily in fact, when I had a thought: Where was my joy? It seemed that I had none. As a believer, where should my joy be? But was His joy my strength? No, it most definitely wasn’t. I felt that I had no strength and no joy. In the work of the cross. In Christ’s sacrifice on my behalf that happened 2000 years ago. And if He did nothing else for me my entire life, He had provided salvation for me. The hope of a believer is what Christ did on the cross and the hope of an eternity spent worshiping Him, worship that begins here and has no end. I had worshiped in painful trials in the past and found those to be some of the sweetest times of healing. Even at this point in my depression, I would have private and public times of worship that were sweet, but left me full of tears, overwhelmed at God’s goodness in sparing my baby’s life. And then I would feel deep despair and fear again throughout the day. No matter how tough each day would be as I worked through my obvious depression, I decided then that the joy of the LORD would be my strength. I would guard my emotions and my heart. I would keep my daughter from seeing her mommy crying so much. My children deserved a mommy who could be happy with them and grounded in joy that comes from Christ. Not in temporary things. My joy should never come from things that I can see. I would partner with God to work through these issues. I would let Him heal my heart. I would trust Him with my issues with fear. Through depression, I learned how to practically apply some foundational things that I had learned over the years as a Christian. I’m excited to share that with you next week so that you can see what God did in my heart, using His Word. Do you know what the other half of the verse is that I quoted earlier? The words of my Savior. Have you dealt with depression? How did you come out of it? How has God worked in your heart in times of trial? If you enjoyed this post, you can follow on Facebook and sign up to receive MamaGab in your inbox. One of the things that struck me in this post was how deceitful it is that Satan can use our own children to steal our joy. The very people that could bring you joy and satisfaction during that time were turned into something that instead brought you endless worry. I’m relieved for you, that you learned from it and slowly let go. Looking forward to reading more! Absolutely. God renewed my mind and fought that battle for me. Oh my, what a challenge and a scary situation for your friend. I hope she finds it encouraging. I could be so strong at the hospital, because I had no choice. It was afterwards that everything felt so impossible. John 10:10 is one of the most powerful verses that has really spoken truth to me when I feel like I’m going through rough times too. Thanks for sharing such personal and honest truth today. Joy is sometimes so hard to hold on to when everything seems to be falling down around me. It is wonderful that you know the culprit and lean on the word to pull yourself up in hard times. Yes, the Word is so powerful! Oh this post hits home so much. There is so many times Satin has tried to use my children health to steal my joy. Just recently I had to make some personal decisions to not allow Satin to take away the joy of my newborn child. Thank-you for sharing! Thank you! 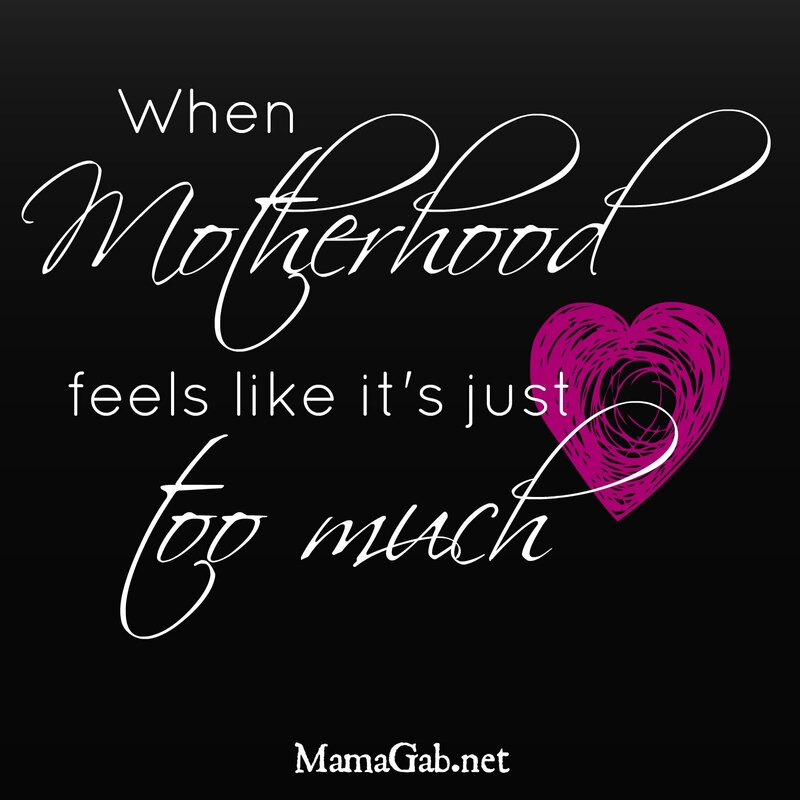 Yes, it’s so hard when those emotions are running high after the birth of a baby. It’s easy to miss the joy in the middle of the hard stuff. Loved this. And I love mentor women. When I was pregnant with my 2nd son, fear was so overwhelming (my first son almost died and suffered a lifelong birth injury)… it was my mom who shared with me the Bible verses about fear! I clung to the one that talks about how God doesn’t give us a spirit of fear, but of a sound mind. And whenever I’d start feeling that fear creep up in me, I ran to my Bible and read passage after passage to keep my shield up. And I think you were going through a grieving period. I certainly grieved for loss of the “typical” childhood my son would never have. It’s totally normal as long as you work your way through it (with God’s help of course!) and not stay stuck in the stages. So true! 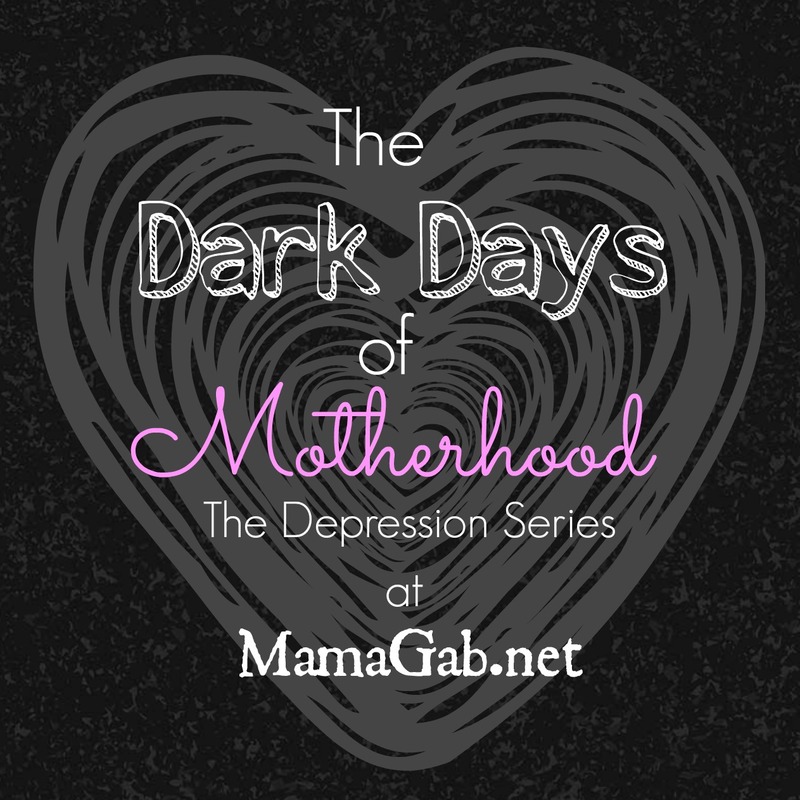 I applaud you for sharing so openly…I have struggled with the last two pregnancies with bouts of depression & overall feeling ‘down’. It has been more physical for me (as it seems to disappear right after delivery) but it still leads me to long bouts of crying & having to go to the Word sometimes like what feels like 100 times a day! God is our comfort & strength. If it were not for Him, where would any of us be? and yet, God is our strength even when we feel like we have none- His love for us is strong, even when all we feel is weak. And also, I can’t help but add, use medication when necessary! I wrote about my struggles here- will share the link in case it is helpful to anyone else! This series is going to bless so many people! I applaud you for talking so openly and honestly about your struggles and how you grew! I can’t wait to read more! Aw, I love this. Thank you for sharing something so difficult and putting it in the context of God. I’ve been there and at the time I didn’t have God in my life, so getting out of it was very hard. Now my struggle is anxiety and I have to pray a lot about that. I found this on Thriving Thursdays! Thanks!